Transferring files between your Android device to your computer does not need to be a tedious or a difficult task. This article will take you through 3 different ways for wireless file transfer between your Android phone and your PC, without needing to use a USB cable. Our most comprehensive solution comes first - Droid Transfer software. This option is for users who desire ease of use and an intuitive interface, as well as the ability to browse, copy, delete or add files to and from your Android device just like you would in Windows Explorer on your PC. 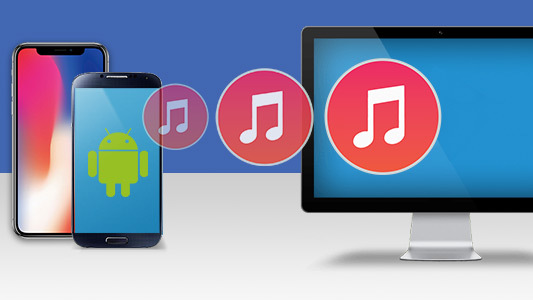 Download Droid Transfer on your PC and run it. Get the Transfer Companion App on your Android phone. Scan the Droid Transfer QR code with the Transfer Companion App. The computer and phone are now linked. Select the files that you'd like to transfer from your Android device and hit "Copy to PC" in Droid Transfer. To add files from your PC to your Android device, click on Add File in Droid Transfer and choose a file on your PC you wish to add to your device. Another great way of transferring files between Android device and your computer is using a cloud service. Cloud Services such as Dropbox and Google Drive allow you to upload files from your computer, or phone, and then allow you to access those files from any of your devices. Bear in mind that your data will be stored externally, so it's not as secure as a simple file transfer between phone and PC. This option is perfect if you plan on syncing files between your devices. Go to your chosen cloud provider's website. Register for the cloud service. Most provide a free option which gives a limited amount of online storage, with the option to pay for more. Download the accompanying app on your phone, and set up with your account details. You can now transfer files between all of your devices, through your cloud storage. 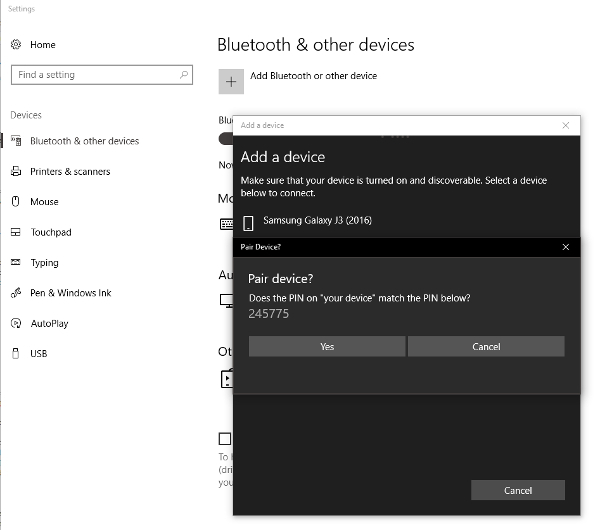 Turn on Bluetooth on your computer and on your phone, and ensure that your device is discoverable. 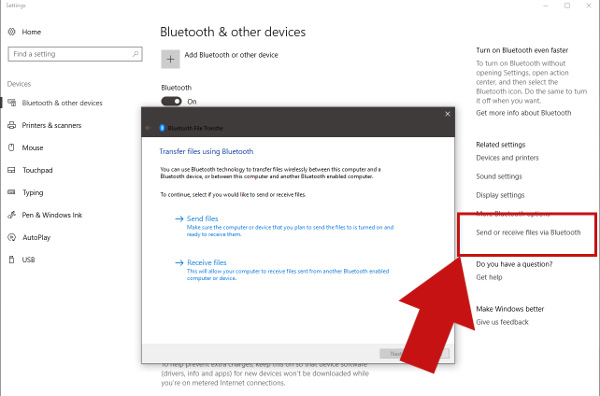 On your PC, go to your Bluetooth settings (you can search for "Bluetooth" in your Start menu). Select your Android phone from the list of devices, and pair. You may be prompted to enter a security code that will be provided, otherwise, you are paired (Image 1). You may also need to allow the receiving of files from your phone on your computer. 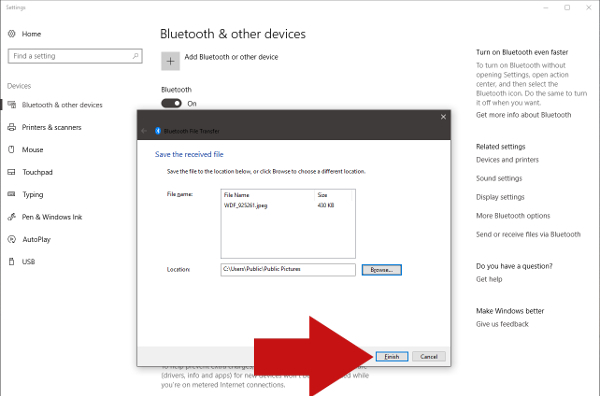 If this is the case, you can find this option by clicking "Send or receive files via Bluetooth" on the right of the Bluetooth options on your PC (Image 2). Find the file you wish to transfer from your phone (eg a photo). Choose the "Share option". Share via Bluetooth and save to PC (Image 3). OK, here's an extra chunk of information for you hungry readers. 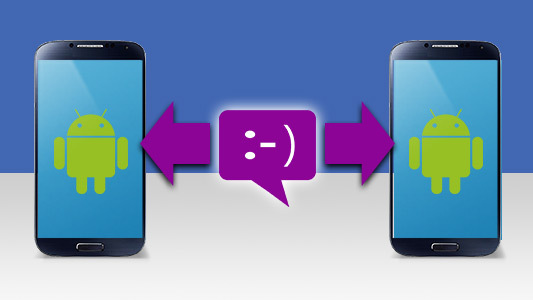 If you want to transfer files from your PC to Android, you can use Droid Transfer as seen in Method 1. The tool allows you to transfer files from PC to Android using Wi-Fi or USB and vice versa. 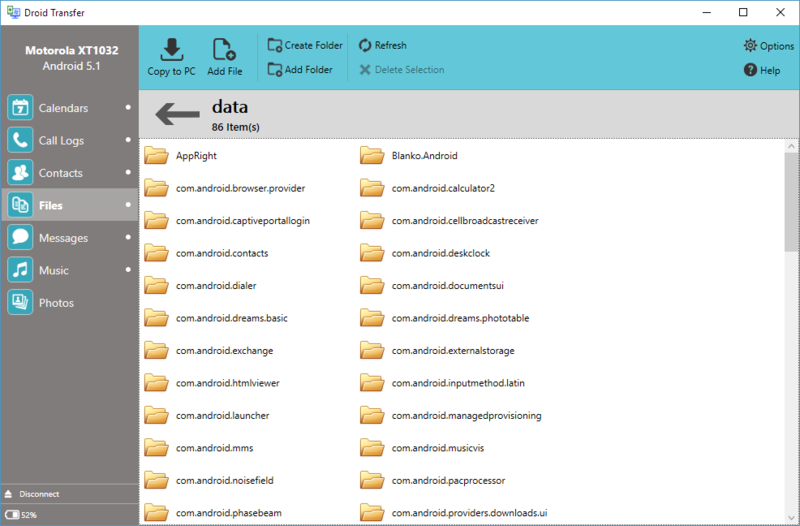 Transfer files from Android to PC using Wifi or USB. Transfer music, messages and more with or without Wi-Fi.